Well, the long awaited Super Mario Run is finally available for Android. Nintendo is rolling out to different countries as we speak and it seems that not all Android smartphones are supported yet. I had to sideload Super Mario Run APK on some of my phones while my Pixel with latest Android O Preview was able to simply grab it on the Play Store. 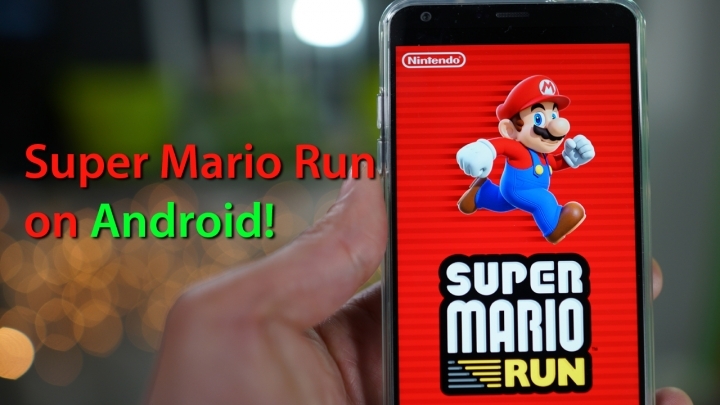 If you don’t see it on the Play Store yet, simply grab the Super Mario Run APK over at APKQuick.com and install it with any of your favorite file browser app. Super Mario Run seems like a very good re-make of its original, which I probably beat many times over in the 80s. Although I don’t play games much, it was great to see Nintendo re-making some of the best video game classics on Android. The game itself is pretty addictive from the start, I was able to breeze through first 2 levels with ease and level 3 got a bit harder (I died 3 times before beating it). After level 3 though, if you didn’t collect enough coins the game makes you purchase more coins. I am definitely going to play more and see if I can beat the game but for those of you who haven’t tried it yet, definitely give it a go today and let me know what you think! P.S. It seems like Nintendo has blocked rooted users from playing the game, if you are in such a boat, try using Magisk to play the game. Next story LG G6 vs. Pixel XL STILL Camera Comparison! Previous story How to Install Android O Preview on Pixel or Nexus 6P/5X!